My term as the President of the Malaysian Society of Anaesthesiologists ends in April at the coming Annual General Meeting of 2015. I believe that during my two-year term, I have been able to make a positive impact on both the current and future status of the Society. Thank you for giving me the opportunity to lead and your patience as I grew into my position. This is definitely a role and experience I will not forget! My journey in heading the Society in the last two years has not been alone. I have been accompanied and supported by a team of dynamic individuals who shared both in our success and learned from our failures. I sincerely thank each of them for his / her hard work, passion and dedication and without whom running the Society would not have been possible. There are many individuals over the two years that have devoted thousands of hours of volunteer service that we so take for granted. I thank all the members of the Executive Committee for 2013- 2014 and 2014-2015 and the editors of 'Berita Anesthesiology' for their contribution, encouragement and support. There are not enough words to express my thanks and appreciation. I would like to sincerely thank our secretariat, Ms Y M Kong and her team, for their tireless work during all the conferences, managing our operations and taking care of our Members. But most importantly, my thanks go out to you, the Members, for all your support. It has been my pleasure. I will be handing over the helm of the Society to the President- Elect, Dr Raveenthiran Rasiah, who I am confident, will take the Society to greater heights! Now, I will chronicle the year's events. The Annual General Meeting will be held ahead of the Annual Scientific Congress in June 2015 in Penang. There will be two talks, one by Dr Teoh Ming Keng from Medical Protection Society (MPS) and the second, on the Fee Schedule by Dr Mohammed Namazie Ibrahim. There is much to be discussed on these two issues. Just to reiterate, we will be making a constitutional amendment and will need a quorum for this. So I implore that you, Members, to make the effort to attend this important meeting. It is also election year! The Organising Committee, the Scientific Committees and the secretariat have been working hard to organise this conference. For the first time, a total of eight pre-congress workshops have been planned. I hope all of you will come forth and support as a lot of work goes into planning and executing these workshops. The Scientific Committees spearheaded by Associate Professor Dr Raha Abdul Rahman for the MSA/CoA ASC and Professor Dr Felicia Lim for the ASPA have put in tremendous efforts to bring a world class faculty to Penang. ASPA alone has 17 international speakers. Please start working on your poster and free paper presentations! I can promise you from my previous experience of attending a MSA meeting in Penang organized by Dato' Dr Jahizah Hassan, which was the first MSA Scientific Meeting held outside the Klang Valley, was truly memorable. You can be rest assured the Congress will be an enjoyable one. Please mark your calendar and join us in Penang for the ASC /ASPA! The National Anaesthesia Day was widely celebrated this year in many hospitals throughout the country. It kicked off in Taiping with an extensive programme, followed by Hospital KL and many other hospitals in Malaysia. Some departments even took this opportunity to have their family day. It was really wonderful to note the camaraderie that we, anaesthesiologists, have. At my recent 'Round Table Meeting' with the Asian Presidents in Chengdu, China, they were impressed that we celebrate the National Anaesthesia Day in such a grand manner and that they too will consider to follow suit. The MSA celebrated the National Anaesthesia Day with the Department of Anaesthesiology, University of Malaya on 19th October 2014. The event was officiated by Toh Puan Dato' Seri Hajjah Dr Aishah Ong, the Pro-Chancellor of the University of Malaya. The Year Book 2013-2014 was launched at the function. It was an elegant launch. The editor, Associate Professor Dr Basri Mat Nor, attended the event and this was definitely a proud moment for him! The launching was followed with performances from the staff of the department. It was delightful to see the medical officers performing and it was indeed very professionally done! What talent! We too had our own fun taking group photos at the dress up booth! Please read the detailed write up in this issue. I would like to take this opportunity to thank and congratulate Professor Dr Marzida Mansor and her whole department for all their effort and hard-work! Well done! A truly fun day! Since its inception, I have noticed that many of the national anaesthesia societies in Asia are also doing similar programmes. The Societies are making inroads with others to broaden their friendship. I was invited by the Chinese Society of Anaesthesiologists, Philippine Society of Anaesthesiologists and the Indian Society of Anaesthesiologists for their conferences as a speaker. I was invited to a few more meetings but had to decline due to work commitments. I have already received emails from these Societies to help them contact other Presidents of the Asian and Asean countries. I have written a separate report on these conferences in this issue. I must admit that from each country you will learn something to bring home to your Society. We are in the midst of communicating with Cambodia to run a similar course as we had done in Laos in August 2014. We will keep you, Members, informed so that you can also participate and share your knowledge and expertise with our fellow colleagues in the less developed countries. Dr Ina Ismiarti Shariffudin and Dr Muhammad Maaya have kindly taken on the task as the Editors. I am confident it will be another Year Book to look forward to. I am proud to announce that we have two applicants. I still wish for more applicants as this is such a big opportunity to fund your research. Please do apply! I attended the opening ceremony that was officiated by the Director General of Health, Dato' Seri Dr Noor Hisham Abdullah. The conference was well attended by more than 600 delegates, international and local. I enjoyed the symposium on transthoracic echo in children and the lung ultrasound in children. It was very informative. It is definitely an asset to be able to ultrasound skilfully. Another addition to our armamentarium! We will be hosting for the first time ever one of the satellite meetings of the World Congress of Anaesthesiologists. The Executive Committee has worked hard to bring this meeting to Malaysia. 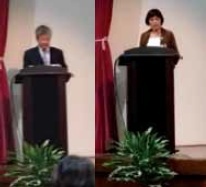 The Organising Chairman is Professor Dr Marzida Mansor and the Scientific Chairman is Professor Dr Chan Yoo Kuen. Kindly take note! Please continue to update your knowledge by logging in. It is a valuable opportunity to have online journals. Not many Societies give this opportunity to their Members. For you who have not joined the Society, please do as this is one of the many reasons why you should join the Society! Ketamine – The WFSA brought to our attention that the United Nations' Commission on Narcotic Drugs (CND) called for the imposition of stricter and more rigorous import and export controls on Ketamine. Whilst we recognise the concern that some countries have over the increasing abuse of Ketamine as a recreational drug, any decrease in availability of the drug for anaesthesia usage would have catastrophic effects and, in many countries, may force anaesthesia and surgery back to unsafe practices from past centuries. This would be disastrous for patients and anaesthesia providers in some countries where Ketamine is the most common – and sometimes only – anaesthetic available. On 16th June 2014 the World Health Organisation Expert Committee on Drug Dependence (ECDD) met to make recommendations on whether Ketamine should be placed under stricter international controls. We caution against attempts to restrict the availability of Ketamine and had written to the Minister of Health to call upon the WHO to take immediate and strong action to ensure unimpeded access to Ketamine for anaesthesia and surgical use. WHO resolution on "Strengthening Emergency and Essential Surgical Care and Anaesthesia as a Component of Universal Health Coverage"
The WFSA informed its member societies including the MSA that among the agenda items at the Executive Board meeting of the WHO passed on 26th May 2014 was the "Strengthening Emergency and Essential Surgical Care and Anaesthesia as a Component of Universal Health Coverage". We were told that this item would proceed for further consideration at the next meeting of the Board in January 2015 and from there should go before the 68th World Health Assembly in May 2015 as a formal resolution. We wrote in August 2014 to the Minister of Health to pledge our undivided support for the initiative and to provide our cooperation at a national level in order for the resolution to be passed at the Assembly the following year i.e. 2015. If approved the resolution would dramatically change the future of our services and the services provided by our surgical colleagues, and one in which we strongly feel will benefit patients all over the world for the better. There are various changes that we would likely expect if the resolution is passed, among which the amount of resources that could be made available for the provision of safe and efficient anaesthesia care especially in countries where at present the national budget does not fully address these issues. During my two years, the Executive Committees have worked hard to bring numerous international meetings to our shores. I hope you take this opportunity to support and attend all these conferences. It is an opportunity not to be missed. The time of the year was drawing near. The month to commemorate and celebrate ourselves as anaesthesiologists was fast approaching. Attention and care to details were paramount. A lifetime of achievements to be summarised into a month and zoned in for a day. Suffice to say the organisers for Hospital Kuala Lumpur had a daunting task ahead of them. The calendar dates were marked, the members of round table chosen and job designations dispersed. The enthusiasm was palpable while the trepidation for the mammoth of a task ahead proved challenging. "Not to worry" the senior members resonated loud and clear. So while the more experienced of the team set on the quest of organising the Anaesthesia Day celebrations, the rest of us served as the backbencher club. Life was cozy and might I add relaxing. Alas!! The coziness and the lull were to be abruptly cut short. Job designations were disseminated and the task of dealing with the media fell upon the few able backbenchers. Yikes!!! Dealing with the media was out of our comfort zone. Fraternities of doctors that presumably hide behind the doors of the operating theatre and shield themselves with a flimsy facemask were now besieged with the task of being the voice for the anaesthesia fraternity and disseminating its importance and relevance to the public. Double yikes!!! "Lets keep a firm grip on reality and size up the opponent, in this case the media, let us gather the information needed and to garner support for the tasks that laid ahead"
Chatter was high and directions were blurred. We trespassed the "What, When and Who" motion. Should we write to seek an audience with the media? Or should we call them? Who should we call and who shall call? Which local dailies should be called upon to entertain our request? Who should be tasked with the above mentioned jobs. No stone was left unturned. The next chapter of this journey began with a meeting with the very sweet Public Relation Officer of Hospital Kuala Lumpur. Armed with the spreadsheet of inquiries, she was exposed almost immediately to the innuendo of questions. Captivating with an engaging smile and confidence, she brought instant calm beyond the cacophony we created. She drew distinct lines of job that laid ahead. She would create the opportunities and we were to seize the moment with the media. Easy Peezy! "Now take note," she said. Note pad and pens drawn out, we eagerly awaited the information. Her voice, with quiet strength delivered crisp instructions. "Good bye Easy Peezy, Hello Triple Yikes!!! " Almost instantaneously an Amazing Race Media quest lay ahead. The team had to consolidate the people and the facts that would be disseminated. The job ahead was taken with great responsibility and seriousness. It certainly was the moment to seize with the public, to be a voice for the fraternity and to speak of the Anaesthesiologist – Catalyst of Quality Care, Icon of Innovation. It is beyond the scope of this article to go through the onslaught of mind preparation, sentence constructions, grammar checks, dictionary checks, checks and rechecks for articles of publications. Nor was it possible to innumerate the trepidations felt on live National Television or National Radio and the fear of wrong sentence construction, grammatical errors of language delivery and the silent unfounded fear of not depicting the part of the glamorous regal doctor. What we wish to highlight are the sweet rewards of this trusted adventure. The fears of language, grammar and delivery of contents were subject to scrutiny and rightfully so. However the congratulatory blitz on social media website, alongside the warm personal texts and excited calls from fellow anaesthesia comrades were overwhelming. We are humbled by the support shown by the fraternity near and far. We are reminded that while we took the task as employees of Hospital Kuala Lumpur, we represented the larger picture, that being the family of anaesthesia. "You are an expert now"
The above sentence cannot be further from the truth. Our expertise lies in the realm of anaesthesia period! A newspaper article or a TV/Radio interview does not make one an expert in dealing with the media nor does it make one an instant celebrity. Au contraire it exposes our vulnerability in the dissemination of information. How much is too much and how little is too little? A fine delicate line exits between dignified information and over the tilt column of self-indulgence. It is with pride that I write in saying that all persons involved in this exercise of anaesthesia related media coverage had their feet firmly rooted on the ground. To summarise, we were exposed to the complexities of media coverage. We learnt the power of the media as a communicative tool. We learnt of the impossibility of pleasing everyone. The sincerity of the work effort was unparalleled, and that is all we can account for. We were reminded of how far anaesthesiologists have progressed. We basked in the light of recognition of the importance of the anaesthesiologist...How apt the theme for the celebrations: Anaesthesiologist – Catalyst of Quality Care, Icon of Innovation. Every October over the past few years, we members of the Malaysian Society of Anaesthesiologists and College of Anaesthesiologists come up with various activities and events to mark World Anaesthesia Day. Among the tasks that Executive Committees are entrusted with during the celebration is to come up with a standard logo that is used nationwide in our posters, banners, T-shirts and other memorabilia. In this edition of the newsletter, we find out the story behind the logo from the designer himself, Dr Haslan bin Ghazali, who happens to be an anaesthesiologist as well. Dr Haslan is currently attached to Serdang Hospital under the cardiac anaesthesia fellowship programme from January 2013. He was born in Penang but raised in Subang Jaya. Dr Haslan did his undergraduate medical training in Universiti Sains Malaysia, Kubang Kerian, and graduated in 2001 and finished his postgraduate in anaesthesia in Universiti Kebangsaan Malaysia in 2010. Dr Haslan had his passion in drawing from young and adds that all his artist buddies are architects, graphic designers or animators. He realised his parent's wishes of him becoming a doctor; as such his passion for drawing and graphic designing became somewhat of a hobby and he keeps it going by involving in a lot of extracurricular activities so that he can create artworks for the projects as he would always be asked to be in charge of advertisements and graphics. He was asked by Dr Salimi, an anaesthesiologist then at Hospital Kuala Lumpur, to design the Anaesthesia Day logo a few years back and did it consecutively over the years. "It was a great honor for me and I was happy to be able to contribute," he adds with pride. The Executive Committees would like to record its appreciation to Dr Haslan for his tireless efforts in coming up with the multiple designs and amendments to the logo to its final form and we hope that the logo will be used annually from now on as a standardized logo in all our National Anaesthesia Day celebrations. The logo depicts the equipment used by anaesthetists in our daily work place. The laryngoscope represents the one tool that we are experts at handling in securing airway in a patient. It is somehow synonymous with anaesthesia together with the laryngeal masks airway which is part of our armamentarium in managing the patient's airway. The face mask symbolizes the importance of airway and giving oxygen to a patient who is hypoxic or in respiratory distress. The symbol of the face mask is not only important in the critical care setting but also in the operation theatre during surgery. With just the proper handling of the face mask, one is able to give oxygen adequately to a patient in need of oxygen. As a new MO in the anaesthesia department, one is taught how to handle a face mask properly on a patient. The syringe represents the vast number of drugs that an anaesthetist administers to a patient whether in the operating theatre or in the intensive care unit. The colour orange symbolizes emergency and the immediate response required which is how we anaesthetists respond in an emergency situation. The blue colour represents the calmness of anaesthesiologist in the face of a dire emergency, taking charge of the situation and managing the problem as fast as possible. The first public demonstration of anaesthesia was done on the 16th October 1846. Since then, the World Anaesthesia Day is celebrated every 16th October. The theme for this year Anaesthesia Day was "ANAESTHESIOLOGIST – CATALYST OF QUALITY CARE, ICON OF INNOVATION." The celebrations at Hospital Kuala Lumpur started with an exhibition from 13th to 16th October at the lobby of the Specialist Clinic and Ambulatory Care Centre (SCACC). 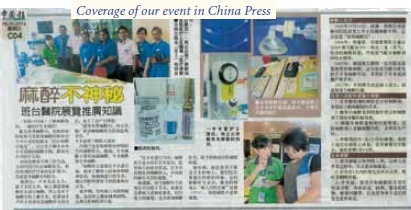 The exhibition focused on anaesthetic services that were provided in Hospital Kuala Lumpur. We also had a live demonstration of how general anaesthesia is typically conducted for which a good response was received from the patients and staff. This was recorded by our national television, RTM. We had a big crowd that morning with almost 1000 people attending and a total of 430 participants taking part in the Fun Run. The day started with a one hour Zumba dance as a warm up session. The participants were flagged off by Dr Ismail Tan at 8.30am. We also invited 24 patients who had undergone general anaesthesia with us to take part in the activities that were planned such as the flight simulation and colouring contests which were sponsored by Abbvie. Apart from the Fun Run, we also had a few other activities such as a blood donation drive organised by Pusat Darah Negara. We were proud to say that Datuk Ahmad Phesal Talib, the Datuk Bandar of Kuala Lumpur, also donated his blood. The physiotherapists were also involved in giving advices and checking on participants' fitness levels. They were using handgrip dynamometer to check handgrip strength. The Medical Team on the other hand was involved in checking weight, height, BMI, blood pressure and also blood sugar levels. The CPR team demonstrated the exact technique in resuscitation of paediatric and adults. Our dietitians were also involved in diet consultation. We did not forget activities for the children. Kids from the ages of 5 to 8 took part in a colouring contest and kids from the ages of 9 to 12 had a drawing contest. About 60 of them took part in these activities. Our guest of honour was Yang Berhormat Dato' Seri Dr Hilmi bin Haji Yahaya, Deputy Minister of Health. Dr Ding Lay Ming, Deputy Director of Hospital Kuala Lumpur also attended the Fun Run. Speeches were given by our Head of Department, Datin Dr V Sivasakthi, and our Deputy Minister of Health. Prizes for the winners were handed out by our guest of honour. The first prize for each category was a gold medal and cash of RM300, second winner was a silver medal and cash of RM200, third winner was a bronze medal and cash prize of RM100. For the children, gift hampers were presented to the first, second and third winners for each category. Yang Berhormat Dato' Seri Dr Hilmi was then brought around the exhibition booths. He sportingly tried the flight simulation as well. The event finished after lunch. Our final celebration was on Friday, 31st October at 2.45 pm at the Main Auditorium of Hospital Kuala Lumpur attended by 300 people. The colour theme for this event was purple. Our Masters of Ceremony were Dr Abraham Philips and Dr Imaan. The guest of honour was Yang Berbahagia Datuk Dr Jeyaindran A/L Tan Sri Sinnadurai, Deputy Director General of Health. Other special guests were Deputy Director of Hospital Kuala Lumpur, Dr Ding Lay Ming, and Head of Departments. We also invited 15 inpatients to celebrate with us. Yang Berbahagia Datuk Dr Jeyaindran also launched our book 'Effective Communication Skill in Intensive Care'. It was followed by a multimedia presentation showing the anaesthetic services that have been provided in Hospital Kuala Lumpur. Dr Azrin Mohd Azidin, our consultant, presented our experiences and achievements with ultrasound guided regional anaesthesia. We also performed a sketch and were pleasantly surprised by the few hidden talents from our department. 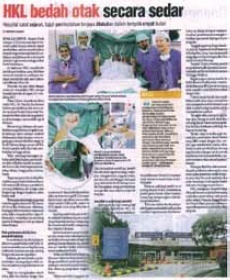 The sketch about the daily work of an anaesthetist was performed by the anaesthesia staff of Hospital Kuala Lumpur. This sketch was directed by Dr Loo Su Yin and Dr Melvyn Edward. Finally, the guest of honour and other guests were invited to our exhibition booth at the lobby. We did a lot of media promotion for our National Anaesthesia Day as well. I had an interview broadcasted with Selamat Pagi Malaysia and a radio interview with National FM. Dr Ismail also had an interview with National FM. Dr Vanitha Sivanaser had a radio interview with Traxx FM while Dr Thohiroh Ab Razak had her interview with the TV programme Femina. Apart from that, various articles also appeared in newspapers such as the STAR, Sinar Harian, Berita Harian and Tamil Nesan. 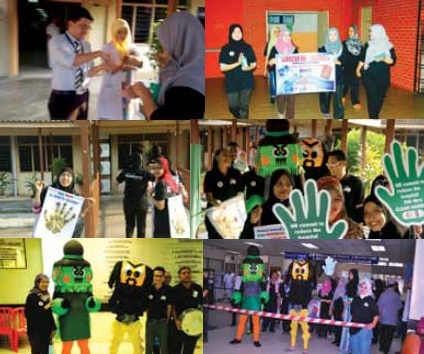 World Anaesthesia Day 2014 was celebrated at the national level in University of Malaya on 19th October 2014. This year, the University of Malaya and the Malaysian Society of Anaesthesiologists collaborated to hold this event in UM. The theme of this year's celebration was "Anaesthesiologist – Catalyst of Quality Care, Icon of Innovation". Registration of guests and participants commenced at 8 am and this was followed by a "senamrobik" session to kick start the celebrations. 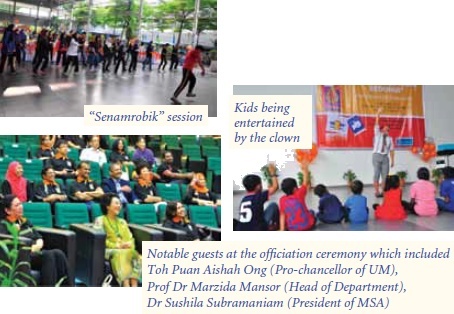 There was also a "Riang Ria Kanak-Kanak" session which provided the children with entertaining activities such as a magic show and a performance by a clown. The event was officially launched by Toh Puan Aishah Ong, Pro- Chancellor of the University of Malaya. 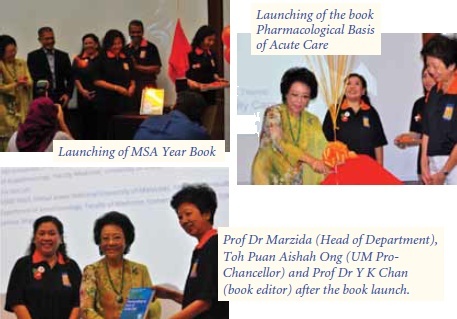 We also took this opportunity to launch two books – The Pharmacological Basis of Acute Care and the Malaysian Society of Anaesthesiologists Year Book 2013/2014. The Pharmacological Basis of Acute Care was a departmental effort which was the brainwave of Professor Dr Y K Chan who was also one of the editors of the book. All the authors involved in contributing to the book chapters were present at the book launching. As for the MSA Year Book, it was edited by Associate Professor Dr Mohd Basri Mat Nor and Associate Professor Dr Azrina Md Ralib. 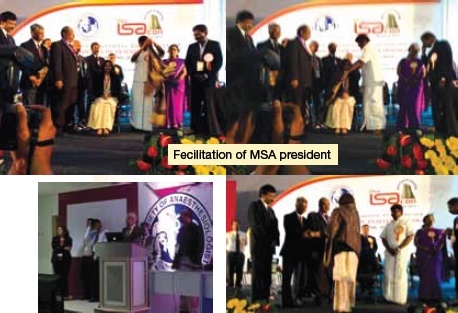 It was launched by the President of MSA herself, Dr Sushila Subramaniam. After the book launch, the guests proceeded to the exhibition area where a few booths had been set up. One booth showcased the achievements and contributions of the Department of Anaesthesiology in University of Malaya in the field of anaesthesia over the years namely in the area of research and teaching of the future generation of anaesthetists. Posters in this booth included research articles produced by the department and published in notable journals over the years. There was also another booth which highlighted the innovations in anaesthesia such as the video laryngoscope to facilitate difficult intubation and infusion pumps for target controlled infusions. After the exhibition the guests had a short tea break followed by performances by the department staff. There was a large pool of talent amongst the medical officers and staff nurses who entertained us with performances such as dancing, singing and miming. After the performances there was a CPR session led by volunteers from the Akademi Latihan Resusitasi (UM) and the medical officers. 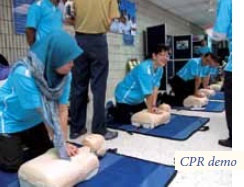 This CPR session was targeted at medical students, healthcare providers and the public. It aimed to raise awareness regarding basic life support for healthcare providers as well as for the lay persons. Then it was time for a bit of fun for the kids and adults where we had a games session. Those who were not keen to join in the games visited the booths we had set up to entertain our guests. These booths included a photography booth where the guests could dress up in fancy costumes for a photo session, a candy bar and a chocolate fountain. The celebrations ended with lunch and a prize giving session for the winners of the games. All the guests enjoyed themselves and learnt some basic life support skills. It was truly a fruitful and enjoyable way to spend a Sunday morning. It's that time of the year again, the time to celebrate our annual National Anaesthesia Day. 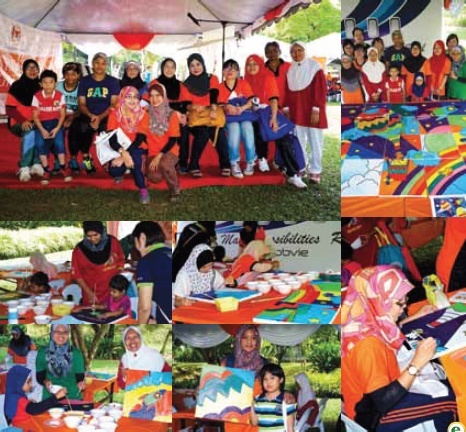 The Department of Anaesthesia and Intensive Care, Hospital Pulau Pinang was all geared up to throw a spectacular event. The date was set and the expectation was sky high. The goal: "How do we top last year?" The date was chosen as 28th October 2014 to hold the National Anaesthesia Day celebration with the theme: "Anaesthesiologist – Catalyst of Quality Care, Icon of Innovation." This year's theme set the tone for the activities of the event. Our aim was to highlight the often unrecognised responsibilities of an anaesthetist in a multitude of settings in improving patients' outcome. Various aspects of anaesthesia and intensive care that usually remain obscured from the public's eye were literally brought to light. These include delivery of anesthesia, pre-operative assessment, critical care and pain service. Now, how are we going to make it exciting? The suggestions were plentiful, but one that was felt to be keeping with the times was Zumba!!! Unlike the preceding year when the proposed professional instructors were changed at the last moment, this year we decided to rope in our own firebrand consultant anaesthesiologist Dr Luah Lean Wah to become our in house instructor. Well, the dance practices were a bit exhausting especially at the end of a long day but viewing the final video product show casing the fine dancing talents of the various members of the department in the background of the catchy tune by Serebro proved it was all worthwhile. The committee members were a group of multi-talented doctors, nurses, medical assistants and support staff led by anaesthetist, Dr Chin Im Im, as the organising chairperson. Meetings were held at regular intervals to ensure good coordination and progress. The tension was high but so was the excitement as the date approached closer. Finally, the much anticipated day arrived. Our staff arrived as early as 6.30 am for final dry runs. In less than an hour, department staff clad in pastel blue uniforms arrived in full force to show their solidarity and support. All of them were busying themselves with the setting up of booths, posters and other exhibits. Our event kicked off with a short introduction by the MC and a warm-up as a prelude to Zumba. The highlight of the day was of course the Zumba routine which really set the electrifying tone of the event. 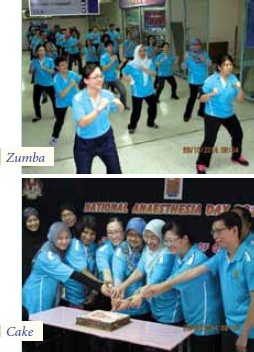 We were pleasantly surprised by the appearance of our Hospital Director, Dato' Dr Yasmin bt Sulaiman, in the full pastel blue uniform as she sportingly joined us during Zumba. Everyone was excited and hyped up no less due to electrifying background music 'Mi Mi Mi'. The opening ceremony which followed was graced by the presence of Dato' Dr Yasmin bt Sulaiman, Director of Hospital Pulau Pinang, and Dato' Dr Jahizah bt Hj Hassan, Head of Department of Anaesthesia and Intensive Care. Various doctors, staff nurses and support staff and members of the public were present to add cheer and support. The young and vibrant emcees, Dr Sheshendrasurian Visvalingam and Dr Samantha Yap, provided an upbeat atmosphere for the event. Following welcoming speeches by Dr Chin, Dato' Dr Jahizah and Dato' Dr Yasmin, our National Anaesthesia Day celebration was officially launched followed by a cake cutting ceremony. Dr Terrence Teow's educational video on the services of anaesthesia was showcased next. It was an excellent video show we must say. Our guest of honour had a tour of the exhibits followed by a press conference and refreshments. This year marked the debut of our very own Anaesthesia Popular Awards. There were three categories up for grabs and we were all excited to know the final results which were announced during the event. The three categories were Most Popular PPK, Most Popular Anaesthesia Nurse and Most Popular Medical Officer. The awards were given out by Dato' Dr Yasmin and Dato' Dr Jahizah. Why no award for the best anaesthetist?? Hmmm.., a new category maybe on the cards next year. A prize giving ceremony was conducted for the colouring contest winners. The contest was held among the paediatric day care and ward (C3) pediatric oncology patients with over 40 participating children in this contest. The smile on the children's face when receiving their prizes made it even more memorable. 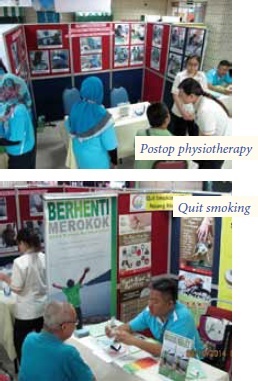 The exhibition area consisted of a 'Mock OT', CPR Awareness Booth, Pain Management Services, Anaesthetic Clinic Awareness Booth, Quit Smoking and Physiotherapy booths. One of the surprises was the participation of our elder community members eagerly resuscitating our models. With over 300 people from all walks of life visiting the booths our event was indeed a great success. The celebration ended around 12 noon. 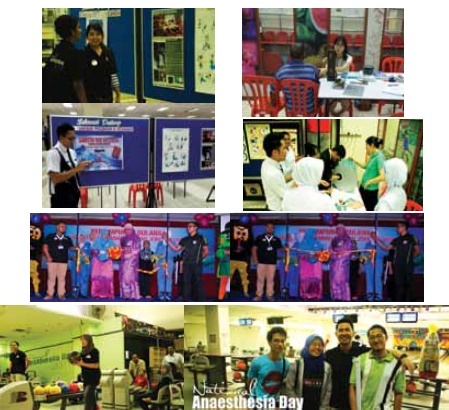 In conclusion, Hospital Pulau Pinang's National Anaesthesia Day 2014 was a colossal success, bringing forth awareness and an educational message to the public regarding the multi facets of anaesthesia and all its associated services. It was also a day showcasing the hidden talents and team work within our department. We take this opportunity to thank the Education Resource Unit of Hospital Pulau Pinang, the Malaysian Society of Anaesthesiologists and the pharmaceutical industry for their continuous support in making this event a success. 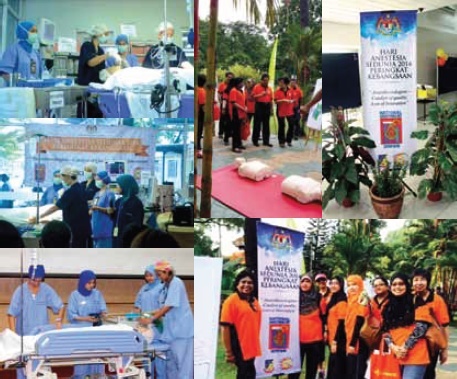 The Department of Anaesthesiology and Intensive Care, Hospital Sultan Abdul Halim, Sungai Petani, Kedah, held its "World Anaesthesia Day" from 9th to 12th November 2014 , at the main foyer of the hospital. The main attractions were the mock "operating theatre" and "intensive care unit" which were set-up inside a special tent. The visitors were given the privilege to observe the latest technology available in a contemporary operating theatre and a general intensive care unit. Banners from the history to the different modalities of anaesthesia were displayed to educate the public the contributions made by anaesthetists in the development of modern medicine. They were also shown the different types of apparatus and technology used in anaesthesia to ensure the safety of the patients. Old equipment was exhibited for the public to dwell upon the brief history of anaesthesia. We would like to thank the TOP TEAM for organ donation, Blood Bank for blood donation drive, BLS team for the demonstration of life support, Outpatient Department for free medical tests, as well as Faber Medik, and Accident and Emergency Department in setting up the operating theatre and intensive care unit. The cooperation from various teams and departments made our "World Anaesthesia Day" very lively and successful. 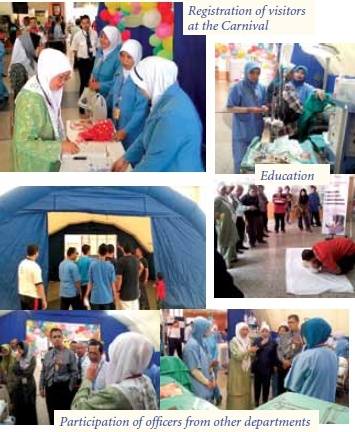 Pantai Hospital Ipoh together with the Malaysian Society of Anaesthesiologists organised the 2014 National Anaesthesia Day Exhibition on Saturday, 18th October 2014. The event was organised at the Ground Floor of the hospital itself next to the Outpatient Clinic Area. The theme for this year's event is 'Anaesthesiologist -Catalyst of Quality Care, Icon of Innovation'. The exhibition which was a first of its kind ever held at the Pantai Ipoh Hospital was meant to highlight the increasing role and importance of the anaesthesia team that has significantly evolved over the years. It is often not highlighted enough of the role of a perioperative physician that the anaesthesiologist often plays in preparing a patient for surgery. The anaesthesiologist assumes a role that focuses on patient care and safety. The anaesthesiologist is also the risk manager managing patients with serious co-morbidities undergoing surgery. As such, the exhibition served to highlight all these and more. The organising committee prepared a series of informative posters outlining areas such as history and significant milestones in the development of modern anaesthesia, description of general and regional anaesthesia as well as the common equipment used in delivering anaesthesia to patients. To accompany the posters, we had mannequins and a GA machine to help demonstrate what takes place in the operating room. This was to allow members of the public who have had no experience at all in the operating room environment other than what they see in the television to be able to understand better what the anaesthesiologist does. The exhibition was well attended by members of the public since it was coincidentally held on a Saturday which is the busiest period of the week at the Outpatient Clinic. We had a number of patients who were scheduled for elective surgery in the coming weeks coming to us and sharing their fears and asking us questions that they were unsure of. We hoped that our exhibition material as well as explanation given had allayed their anxiety somewhat. Finally we would like to thank the Organising Committee of the Pantai Hospital Ipoh National Anaesthesia Day Exhibition including the Management and the Corporate Communication team as well as the Malaysian Society of Anaesthesiologists for their support towards the event. 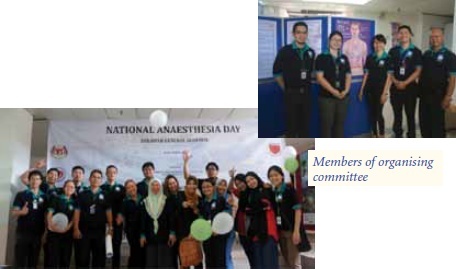 The Department of Anaesthesiology and Intensive Care Unit, Sarawak General Hospital recently celebrated the National Anaesthesia Day on the 16th October 2014, which coincides with the World Anaesthesia Day. This year, the theme is 'Anaesthesiologist – Catalyst of Quality Care, Icon of Innovation'. In keeping with this year's theme, we aim to educate the public and the medical staff regarding the role of anaesthesiologists and the progress of anaesthesia. The task was spearheaded by Dr Mustaffa Kamil Zainal Abidin and his organising committee. The event was held at the hospital foyer, with the opening ceremony conducted in Dewan Persona. Coincidentally, October is also Organ Donation Awareness month. 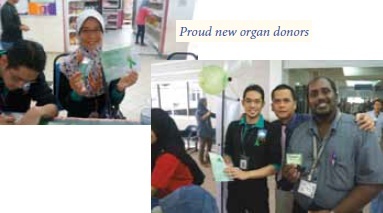 Thus, we collaborated with the Sarawak Hospital Transplant and Organ Procurement team to promote organ donation during the event. The one-day celebration began with introductory and welcoming speech by Dr Norzalina bt Esa, Head of Department and Senior Consultant Cardiothoracic Anaesthesiologist and Perfusionist Sarawak General Hospital, who is also Advisor to the Organising Committee. We were also fortunate to have Dr Mohd Asri b Riffin, the Deputy Hospital Director, to grace our event and officiate the event together with Dr Norzalina and Dr Mustaffa. This was followed by a short video presentation and a contemporary modern dance by ICU staff in their beautiful traditional costumes. After the opening ceremony, Dr Mohd Asri was accompanied to view the educational booths located at the hospital foyer, before adjourning for light refreshments. There were various booths set up. An operating theatre stimulation booth with various intubation equipment and airway adjuncts were on display. Many visitors took time to view the video presentation on a patient's journey through anaesthesia and patient interviews during acute pain service. Likewise, the Basic Life Support booth drew many curious passer-bys and medical staff alike to try out Cardiopulmonary Resuscitation. 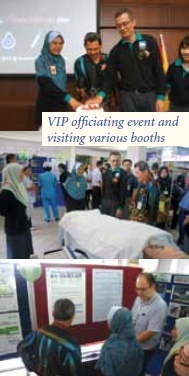 The various educational posters highlighted many important aspects of anaesthesia, such as history of anaesthesia, anaesthetic services offered in Sarawak General Hospital including cardiothoracic anaesthesia in Pusat Jantung Hospital Umum Sarawak, information on general and regional anaesthesia, importance of fasting and informed consent, fitness for anaesthesia and labour epidural. The posters were an instant hit with the public as there were gifts offered for answering the associated quiz questions, with the gifts being snapped up within hours. Even the organ donation booth successfully recruited 95 new organ donor pledges. All in all, the event was a resounding success. Feedback offered from the committee members was positive and it is hoped similar events can be held in a grander scale to appeal to the general public and create awareness on what anaesthesiologists do on a daily basis. 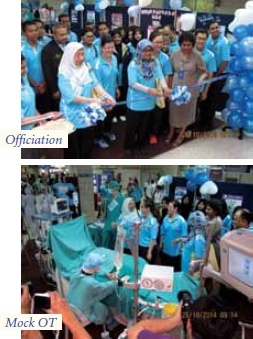 October 16th marks a momentous turning point to the practice of anaesthesia world wide, and this year the Anaesthesiology & Intensive Care department of Hospital Sultanah Nur Zahirah (HSNZ), Kuala Terengganu joined in the world wide celebration. The theme this year was 'Anaesthesiologist – Catalyst of Quality Care, Icon of Innovation'. 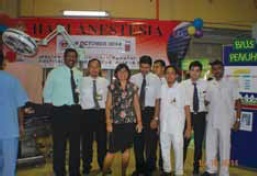 The event focused on spreading awareness to the community regarding anaesthesia. The opening ceremony began at 10:30 am, attended by the honorable director of HSNZ and hospital staff from various disciplines and the public. The day started off with a welcoming speech by Dr Rohani bt Ramliy, the Organising Chairperson, followed by Dato' Dr Aisai bin Abdul Rahman, Head of Department, Anaesthesi o logy and Intensive Care, HSNZ. Subsequently, the event was officially inaugurated by the hospital director, Dr Abdul Rahim b Abdullah. The aim of this year's celebration was to increase the public awareness regarding the safety of anaesthesia and the numerous anaesthetic services provided in HSNZ. Various booths were set up, display of posters promoting the services in anaesthesia, history of this vital field of medicine, OT and ICU simulations and not to forget the mini museum; where assorted anaesthetic machines and equipment and airway adjuncts used in anaesthesia over the decades were displayed. The event was indeed a success as we received an overwhelming response from the public and also health care providers. 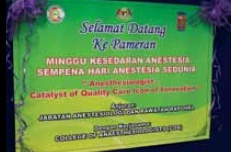 Anaesthesia Day was observed on 16th October 2014 in Hospital Raja Permaisuri Bainun, Ipoh, Perak. It was held in conjunction with the World Anaesthesia Day that falls on the same day. The theme for this year's celebration was "Anaesthesiologist - Catalyst of Quality Care, Icon of Innovation". 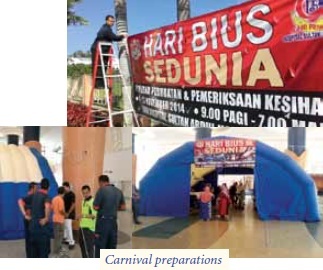 A large banner regarding the event was displayed and flyers regarding the event were distributed prior to the day. Exhibition booths were opened at the public foyer within the hospital grounds. Information regarding organ donation, the acute pain service and various other activities was made available to the public. The objective of the exhibition was to educate the public regarding the importance of perioperative care and the services provided by the Anaesthetic team. This was conveyed by displaying posters regarding the history of anaesthesia, and the services and activities of the Anaesthesia and Intensive Care Unit. We also set up a mock Operation Theatre where members of the public could take photos of themselves holding a face mask over a mannequin. To encourage more participation from the public, we organised a quiz based on the posters displayed. This was a fun and interactive event and attractive prizes were given away to all participants. Overall, we had good participation from the public and we felt it attained the objectives we had set out to do which was making anaesthesia known to the public. It was a job well done by the members of the department and we hope to make it even more successful next year. 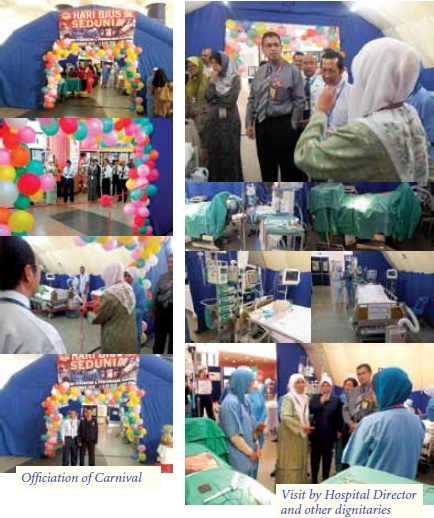 Organised by the Department of Anaesthesia and Intensive Care of Hospital Sultanah Aminah Johor Bahru (HSAJB), the National Anaesthesia Day celebrations with the theme of "Anaesthesiologist – Catalyst of Quality Care, Icon of Innovation" was celebrated on 30th October 2014. This event was held to educate the public and hospital members on the importance of our anaesthetic services, as well as highlight the range of services we provide. Banners were put up around the hospital and a week-long exhibition from 27th October to 30th October 2014 was held. A total of 17 posters were prepared and put in an exhibition in the Specialist Polyclinic foyer. Some posters gave insight on the history of anaesthesia back in the early days of ether and its use, while others educated patients what to expect during general or regional anaesthesia. Still there were others that gave better insight into the experience the patient had to go through; from first review with the surgeon to the Pre-Anaesthetic Clinic (PAC) all the way to the operation table and to discharge. Apart from the exhibition, several booths were set up in conjunction for the public. One was for basic medical check up where participant's blood pressure and BMI were measured. Participants were also encouraged to discuss any doubts or queries in regard to the services we provided. A booth with a choking mannequin manned by Basic Life Support (BLS) instructors was put to educate the public on basic life saving techniques. A blood donation drive was also held on 29th October, the initial aim of 50 donors was exceeded by a roaring 65 donors in a single day. On 30th October 2014, the official opening of Anaesthesia Day was officiated by the Director of HSAJB, Dr Rooshaimi Merican A Rahim Merican, in conjunction with the monthly morning assembly hosted by the Department of Anaesthesia. The "Hand Wash Relay" was a special event held to commemorate this year's Anaesthesia Day. This relay was done in a carnival like atmosphere with mascots dressed as bacteria and drummers to educate all layers of the hospital community and members of the public on the importance of hand wash hygiene. Members of the hand wash relay were to receive the "baton" in form of a hand rub dispenser. Before receiving it they would have to demonstrate proper hand washing technique. The "baton" would then be passed from one station to another situated around the hospital, with each participating member performing proper hand washing technique before receiving it. Participants included hospital security officers, pharmacists, dieticians, doctors, nurses and other paramedics. Members of the public were randomly selected to perform hand washing techniques along the route of the relay. In conjunction with this Anaesthesia Day also a bowling competition was held on 1st November 2014 for anaesthesia staff members at Danga City Mall Bowling Centre. Overall the Anaesthesia Day Celebration was well received, and it was a great success with numerous praises coming from hospital authorities as well as from non-anaesthesia staff and members of the public. We wish to thank all our sponsors the MSA, Hospital Sultanah Aminah and the pharma communities for their kind contributions. Armed with a burning passion to serve humanity and to be able to make a difference, many aspiring individuals aim to pursue medicine as their life career. Be it physicians, surgeons or even public health officers, we all have the same goal in our mind nonetheless, and we swear the same Hippocratic Oath. We, anesthetists, are no different! We too play a huge part in ensuring patient's well being throughout any stage of patient's surgery or critical condition. With the goal of raising the awareness of this among the local community in our mind, we, a small but dedicated group of anaesthetists and medical officers in Taiping Hospital, had successfully organised a huge-scale public awareness campaign "Taiping Anaeasthesia Day" on 1st September 2014. The idea of organizing such event was first born inside the mind of a young and budding female anesthetist, who is the chairman of this event as well. Tired of always being misperceived by the public as "surgeon's assistant", "operation table assistant", "the nurse who put people to sleep" and others. She came to the realisation that something has to be done to make the existence of a such important specialty and department to be known. This was fully supported by our head of department. Hence, a humble committee was formed in April 2014 consisting of not only anesthetists, but also staff nurses, medical officers, medical assistants and medical attendants. We share the same goal, we share the same aim. We want the public to know what role we played; we want the public to know the existence of anaesthesia and WE CERTAINLY want the public to know that anaesthesia is SAFE. The process of organising such a big event is a challenge on top of our everyday-already-challenging clinical works. One of the main hurdles in our progress had always been "The Budget". Obstacles were encountered during the process of securing enough funds to run the event. We were blessed as in the end we managed to get sponsorship from various agencies, organisations and relevant companies (including the MSA). Not only the budget, all the exhibition materials, brochures, videos (Yes, videos, there are even two of them), posters, flyers, etc etc, were all self-made by the committee and guaranteed 100% original content wise. With the help from all the committee members, we managed to gather enough resources and prepared ourselves for the big day. It's so true that "Together, we stand". 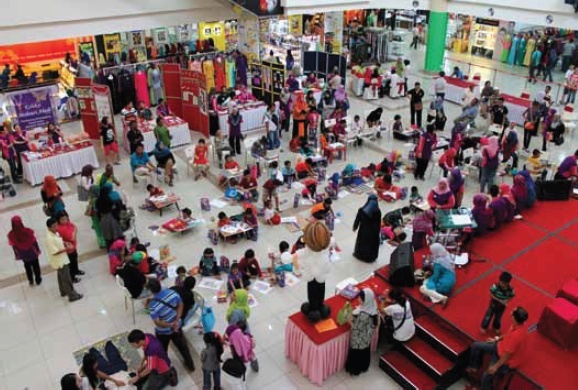 The event started at 10 am in Taiping Sentral Mall, which is one of the most popular weekend getaway spots in Taiping. Of course, the venue was sponsored as well, and with the event falling on a public holiday, crowds of people were expected. Opening ceremony with opening speech from the chairperson, advisor and hospital director was conducted smoothly. With a burning spirit and enthusiastic mind, we started the Taiping Anaesthesia Day 2014. Each of us was allocated to groups with specific roles to play. We had a registration counter with lovely cheerful staff nurses greeting the public and handling the registration. We had a total of 6 booths with a different theme each exhibiting something related to our field of work. We also had the pleasure of collaborating with Klinik Kesihatan Tupai Taiping staffs for a free public health screening session. There was a booth by Nestle as well promoting their all-time favourite nutritious health milk Ensure. Abbvie also lent us a hand by designing and lending us a series of big portrait-style posters displaying the flow of anaesthesia process from the planning of anaesthesia in clinic to the discharge of the patient itself. Last, but not least, there was a stage showing our huge large banner, and a projector playing our videos continuously. 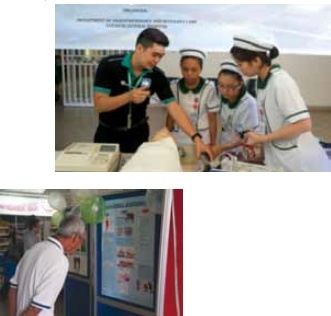 The six themed-booths are General Anaesthesia, Regional Anaesthesia, Acute Pain Service, Hand washing station, Organ donation campaign and Basic Life Support. The respective booths were show casing all the usual equipment that we used in our work, and there were posters explaining relevant information as well. Not to mention there were trained professional "tour guides" dedicated to each booth to clear the crowd's curiosity on our job scope and the services we provided. There were even mannequins showing clearly how a general anaesthesia is carried out with volatile agent induction, airway securement with airway devices and emergence from anaesthesia. The crowd loved this station very much as most of them who had experience of General Anaesthesia before never knew what really happened once they lost their consciousness. The sight of the public curiously looking at airway manipulation and intubation was satisfying indeed! Another popular station frequently visited is the Basic Life Support station, as the public were given practical advice on how to perform life-saving Helmlich Manouvre & CPR on a mannequin. They were given chances to have hands-on experience on CPR-ing the mannequin, and who would say no to the chance of showing off your newly learned CPR technique to your 10-year-old son? Hand Washing station was a blast as well as ICU staff was happily demonstrating the proper and aseptic hand washing technique. Organ donation booth is full of curious crowd as well, and with the recent headline of Taiping Hospital involved in an organ donation case make the booth itself livelier. The health screening booth gave the public a chance to have free health checkup and free health counseling as well. Taiping Anaesthesia Day was brightened up by various on-stage events as well. For starters, we had the honor of inviting a clinical dietician to give a talk on the stage on "Healthy Diet". We also had the pleasure of a performance by special school children of Sekolah Kebangsaan Long Jaafar. Lively performances such as cultural dances, live singing on the pop song "Rindukanla" by Encik Mimpi, and the choir never failed to live up the mood of the audience. Coloring contests were held as well and it garnered a favourable response from the children. Two videos which were self directed and self produced by our MO showing the job scope of anesthetists and the flow of anaesthesia of Mr X were repeatedly shown on the stage projector. The Blood Bank Department of Taiping Hospital also joined our merry event, and they were jubilant in the end as they received blood donations from 80 members of the public which totally exceeded their expectation. The day ended with most of us being tired but there were satisfactory smiles wearing on our face. Have we achieved what we want to do? Yes. Did the public receive the awareness that we want them to have? Yes. Will we be doing again in the coming year? Definitely! Will we be sharing our success with the rest of the anaesthetics community in the Malaysia? Absolutely, and now, here we are! 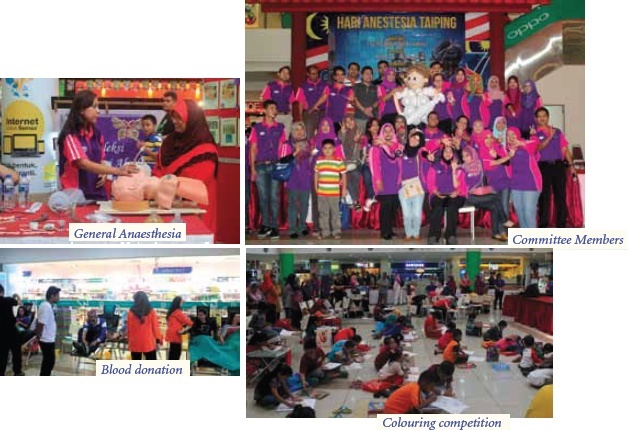 Darul Ehsan Medical Centre Shah Alam together with the Malaysian Society of Anaesthesiologists organised the 2014 National Anaesthesia Day Exhibition on 18th October 2014. The event was organised at the Kayangan Hall of the Hospital itself. The theme for this year's event was 'Anaesthesiologist – Catalyst of Quality Care, Icon of Innovation'. The exhibition which was a first of its kind ever held at the hospital received great support from the hospital staff and management. The organising committee prepared a series of informative posters and talks were given by Dr Muhd Helmi Azmi and Dr Raveenthiran Rasiah. The exhibition and talks were well attended by members of the public. We would like to thank the Organising Committee of the Darul Ehsan Medical Centre Shah Alam National Anaesthesia Day Exhibition including the Management and the Corporate Communication team as well as the Malaysian Society of Anaesthesiologists for their support towards the event. The 2nd UMMC End Of Life Care in the Critically Ill Symposium was held on 16th October 2014 at the Clinical Auditorium, Faculty of Medicine, University of Malaya. It was organised by the ICU team, Department of Anaesthesiology, UMMC in collaboration with the Critical Care Section of the Malaysian Society of Anaesthesiologists (MSA). This symposium was organised as part of the World Anaesthesia Day celebrations. Anaesthesiologists as critical care physicians have always played a role in End of Life Care (EOLC) especially in the Intensive Care Unit (ICU). With this in mind this symposium was organised to promote awareness about EOLC practices and to highlight issues associated with it. The objectives of the symposium were to highlight the role of health care professionals in end of life care and issues associated with it and allow exchanging of experiences in managing end of life care cases. At the end of the symposium, the learning objectives were for the participants to be able to understand the role of health care professionals in providing quality EOLC, understand ethical, socio-cultural and legal issues associated with EOLC, recognise that quality and effective EOLC requires a multi-disciplinary approach and recognise the importance of communication in EOLC. The symposium was attended by 150 participants from various hospitals in the Klang Valley consisting of doctors and nurses. A wide range of topics was covered on that day by notable speakers which included adult and paediatric consultant intensivists, palliative care physicians, a surgeon and a lawyer. Two interesting case discussions were also held and participants gained valuable input from the panel of invited speakers. General feedback from the audience was that it was very enlightening and they hoped that we will be able to hold the symposium on a yearly basis. 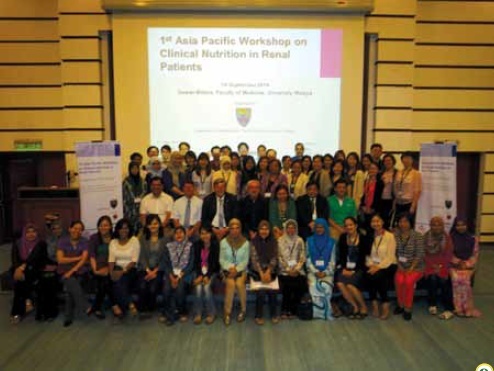 On 14th September 2014, the Department of Anaesthesiology, Faculty of Medicine, University of Malaya, in collaboration with Aesculap Academy Malaysia and the Malaysian Society of Anaesthesiologists successfully co-organised the 1st Asia Pacific Workshop on Clinical Nutrition in Renal Patients. The half-day event was attended by over 50 participants from Malaysia, Taiwan and the Philippines. Renowned speaker, Professor Dr Enrico Fiaccadori (Italy), together with Dr Hung Szu-Chun (Taiwan) and Dr Norbert Nagel (Germany), shared their knowledge and experience on the latest updates on Clinical Nutrition in Renal Patients. Focusing on Protein-Energy Wasting in Chronic Kidney Diseases (CDK) patients, Professor Fiaccadori shared his expertise in the epidemiology, diagnostic aspects and outcome data of these patients, followed by Intradialytic Parenteral Nutrition for them. On the other hand, Dr Hung presented a topic on Dietary and Enteral Supplementation for these patients. In addition, Dr Nagel shared on the role of Screening and Assessment in the treatment of CKD patients. The overall feedback from the participants was very encouraging as they have not only benefitted from the didactic sessions, but also enthusiastically participated in the open discussions which provided a platform for interactive exchange of skills and knowledge. 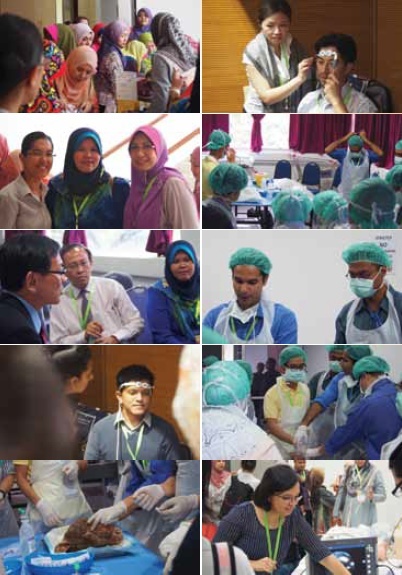 The 3rd National Daycare Surgery Conference was held at the Medical Academies Building, Kuala Lumpur on 4th to 5th September 2014. There were a total of 276 participants who were enthusiastically absorbing all they could about daycare. There was an impressive opening ceremony which saw talented nurses from Hospital Kuala Lumpur dancing beautifully to Chinese, Malay and Indian rhythms. The guest of honour was Yang Bhg Dato' Dr Hj Azman Abu Bakar, Director, Medical Practice Division, Ministry of Health Malaysia. Everyone was welcomed by Dr Kavita Bhojwani representing the College of Anaesthesiologists and Datin Dr V Sivasakthi who unfortunately was unable to attend. In her welcome address, Dr Kavita mentioned the benefits of daycare surgery and encouraged all to start daycare in their respective hospitals. 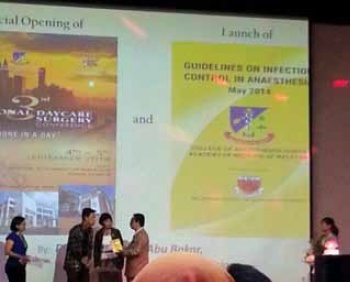 The programme also included the launch of the Guidelines on Infection Control in Anaesthesia by Dato' Dr Azman Abu Bakar. Mr Yan Yang Wai, the National Clinical Corodinator for Daycare Services for the Ministry of Health then spoke on the current situation of daycare services. He also mentioned that there was still a lack of resources and hoped that the MOH would be able to address this. And indeed, in his talk, Dato' Dr Azman was very supportive and said he would look into all the issues pertaining to daycare surgery. He proceeded with the declaration of the opening of the conference and launched the booklet, Guidelines on Infection Control, with a loud 'pop' and burst of confetti. There was a short informative video which took us through a journey of a child going for daycare surgery. It was filmed and edited in Hospital Raja Permaisuri Bainun, Ipoh by their own cast and crew from the Department of Anaesthesia & Intensive Care. On the first day, we heard a variety of talks given by eminent speakers which included Prof Dato' Dr P Kandasami who was instrumental in starting daycare services in the country. We also had overseas speakers, Dr Stephan Roehrig from Germany and Dr Herve Bouaziz from France. The workshops were well attended and ran smoothly. The following day, there were a series of talks by experts in various disciplines pertaining to daycare surgery. These included minimally invasive surgery (Dr Nik Ritza Kosai), ENT (Dr Rosalind Simon), orthopaedic surgery (Mr K Manoharan) and gynaecology (Dr P Kannappan). Prof Dato Dr Wang Chew Yin spoke on the management of the hypertensive daycare patients. Mr Yan Yang Wai spoke on the importance of data collection in daycare surgery. There were two lunch symposia - perioperative paracetamol in daycare & therapeutic pain management in daycare. The second day ended with an informative and entertainiing debate by Dr Soon Ruey and Mr Andre Das on the topic "Is daycare the way forward"
On the whole, it was a successful two days and it is hoped that this inspires more daycare surgery to be carried out nationally. Perhaps having regular conferences on daycare surgery will be beneficial. 'Sitting on a dock of the bay'…so the songs goes and thus the idyllic nature of being… a description of the tranquility that engulfed the Neuro Anaesthesia Special Interest Group in the month of July of 2014. The tranquility was soon to be broken with the announcement that the Neuro Anaesthesia Symposium was to be brought forth from the month of December to the month of September...Equating a whooping constricting 7 weeks to organise a symposium on a national level. The meetings ensured amidst chatter of nervousness, the organising and the scientific committees formed and the skeleton structure of the program were taking form. Time certainly was not on our side with the clock ticking full throttle ahead. Checklists formed were far from complete: invited speakers, topics for presentation, company sponsored booths and industry support, venue, workshops, number of participants and fees. Slowly and surely the skeleton frame gave form to a credible formation of the scientific program. Contents were arranged to tackle evidence based practices and controversies within neuro anaesthesia practices. With confidence and enthusiasm gaining momentum workshops were arranged to showcase important hands on practical aspects of the neuro anaesthesia practices. Time flew and soon the day dawned its light on the Neuro Anaesthesia Symposium. Trepidation and unwarranted fear that attendance and participation would be dismal was unfounded. The attendance hall was filled to the brim with an attendance of 190 participants. The day started off delightfully with a packed auditorium of participants. Chief guests included Deputy Director General of Health, Datuk Dr Jeyaindran a/l Tan Sri Sinnadurai and Datuk Dr Johari Siregar b Adnan, Consultant and Head of Neurosurgical Services, Malaysia. The opening speech was delivered by the dynamic organizing chairperson Dr Zarina Abu Kasim, followed by a speech by Dr Lim Wee Leong, whose name is synonymous to Neuro Anaesthesia in Malaysia. Datuk Dr Jeyaindran then took to the podium to deliver his speech with his admirable flare of public speaking leaving no stones unturned with deliverance of important messages. So far we were on track. Symposium topics were well received by the participants with speakers delivering stellar presentations. The presentations were tailored to cover a wide array of clinical based topics targeting the common issues and innuendos faced by the neuroanaesthetists. Invited speakers included Dr Lim Wee Leong, Dr Fahmi Lukman, Dr Azizan Ghazali, Dr Hui Mun Tsung, Dr Ramanesh Mageswaran, Dr Hari Krshnan, Dr Lim Ern Ming and yours truly me, Dr Vanitha Sivanaser. 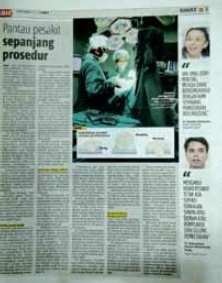 To add astute to the ensemble were neurosurgeons Mr Azmi Alias, Mr Saiful Azli and neurointerventionalist Dr Lau Jia Him. Workshops were arranged in the afternoon. While immense planning was put into these workshops, there were many things on the agenda that were left to the celestial bliss... Was the cadaveric sheep heads arriving as planned, was the BIS simulator software going to play up? Was SimMan, the 'star' of the Advance Airway workshop going to arrive on time or arrive at all? All we could do was to hope that the efforts put forth would bear testament. The Scalp Block Workshop received the cadaveric sheep heads and apprehensions experienced with all workshops were allayed. The enthusiasms of the participants were infectious. Suffice to say the day ended on a high note. Day two of the symposium kept the momentum and tempo of the day before. The day began with a series of presentations followed by the workshops. This was followed by a break for lunch and resumed then after with a series of presentations. A hall full of participants' eagerly awaiting the last two lectures filled speakers and the organisers with humility. The objectives of this symposium were delivered, the target audience captured and the workshops a resounding success. However there were areas that the Organising Committee felt fell short. Suggestions to incorporate separate workshops for nurses and paramedic were well founded. Time management of speakers was an oversight, which left many speakers the task of rushing to complete their presentations. Requests for photocopies of presentations were undelivered and attempts to obtain permission for reproduction of the slides are still on route. We include this paragraph to acknowledge the shortcomings and to show the sincerity on the quest for improvement. A sense of accomplishment and fulfillment described the atmosphere at the completion of the 3rd Neuro Anaesthesia Symposium... Au Voir and see you all come 2016. 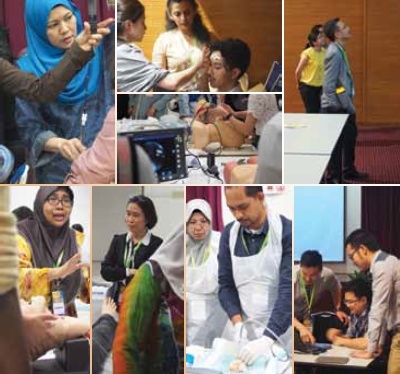 Matrix 2014 held on 2nd to 3rd October was a gathering of a wide variety of healthcare professionals and paramedics at Hospital Raja Permaisuri Bainun, Ipoh. 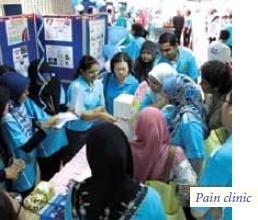 This pain symposium was jointly heId by the Department of Anaesthesia & Intensive Care, Ipoh, PGMES (Hospital Ipoh), the Malaysian Association for the Study of Pain and MSA. The symposium was felicitated by the Pengarah, Hospital Raja Permaisuri Bainun, Dato' Dr Raja Lope Ahmad bin Raja Ariffiin. Gracing this event, our esteemed invited speakers, Dr Khor Kok Eng (Prince of Wales Hospital, Sydney), Prof Dr Marzida Mansor and Dr Mary Cardosa, shared their experiences and knowledge on chronic painful conditions. Joining in, making this event a success was a speaker from PERKESO as well as specialists from our own hospital. As always, the workshops (acupuncture, relaxation techniques, biofeedback methods and physiotherapy) were a treat to all participants and facilitators! The event received much support from the industry and we look forward to the future Matrix ! The Malaysian Society of Anaesthesiologists is aggressively trying to establish links with our sister societies in the region. As the President, I am constantly in touch with the Presidents of the Asian countries especially the Asean region. The second half of the year saw me visiting three countries as a speaker. I had to turn down a couple of invitations including the Australian Society of Anaesthetists meeting which was held in Brisbane, Australia and the Indian College of Anaesthesiologists meeting in Bangalore, India due to work commitments. I also did not attend the Perioperative Paediatric Life Support in Singapore where paediatric anaesthesiologists from Asia congregated to establish protocols for this course, as I had to make a site visit to Penang to confirm the venue of our next Annual Scientific Congress MSA/CoA 2015 to be held in conjunction with the Congress of the Asian Society of Paediatric Anaesthesiologists (ASPA). 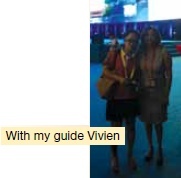 First I headed to Chengdu, the provincial capital of Sichuan province in Southwest China to attend the Academic Annual Meeting of the Chinese Society of Anaesthesiologists that was held from 11th to 14th September 2014 at the Chengdu New International Convention and Exposition Center. Chengdu is the fourth most populous city in China and is known as the "Heavenly State". To me, it was basically the 'land of the pandas'. This invitation was extended to me by the Chinese Society of Anaesthesiologists who decided to host a "Round Table Meeting of the Presidents of Asia". I was asked to do a short presentation on our Society, the role we play and our activities. In the plane, the passenger next to me who was a frequent traveller to Chengdu expressed her concerns, as Chengdu was not used to international crowd! That got me quite worried! I was relieved to have a young anaesthetic trainee who met me at the airport and was further relieved that she was to be my guide for the whole visit! The meeting kicked off on the pre-congress day with a welcoming reception and Dinner. At the Welcome Dinner, two memoranda of understanding (MOU) were signed; first with the American Society of Anaesthesiologists and the second with the Anaesthetic Research Society (British Journal of Anaesthesia, BJA). The MOU were signed to assist in the sharing of knowledge and expertise. At the dinner, I was told by one of the BJA editors, Professor Nigel Webster, that there is a large submission of articles from China to the BJA, and the BJA group conducts a yearly 'research writing' workshop during their Annual Meeting. This was to be their fifth. The next day was the opening ceremony, a very grand event attended by a large audience, which began with speeches followed by a plenary. There were 10,000 delegates at the meeting. China has 40,000 anaesthesiologists! We were then taken for a tour to the local Provincial Hospital that has 100 operating rooms. 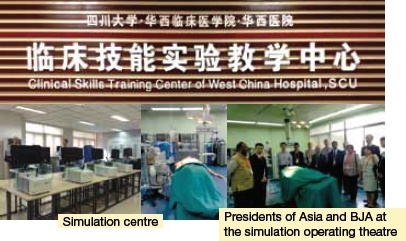 We visited a five-storey Simulation Center that housed all simulation activities including skills for laparoscopic work, maternal deliveries and difficult airway. For anaesthesia, there is a structured programme, requiring candidates to complete a web-based pre-test prior to registering for the chosen simulation course. The Anaesthesia Simulation Course is conducted every Thursday night. It was truly amazing and definitely the way forward! The visit was then followed by a lovely Presidential lunch. I felt very important! The afternoon was free hence we were driven to the Giant Panda Breeding Station. I was so excited to see these cuddly bears! I was amazed to see both the traditional 'black and white' bears as well as the red pandas. They even have a special area to accommodate new-borns who were being bottle-fed. The area also housed incubators for them. 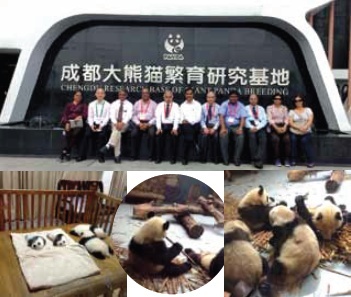 These pandas really lead a sedentary life! The meeting had 16 concurrent sessions. There is a lot to choose from! Although most sessions were in Mandarin, there were also sessions in English delivered by invited international faculty. I enjoyed the transplant symposium and the BJA-conducted Research workshop. The highlight of my trip was the 'Round-Table Meeting of the Presidents of Asia". There were a total of 14 Asian Presidents, ASA, BJA and WFSA. Each country presented their society activities followed by a long dialogue. Many countries still have nurse anaesthetists. Maldives has only two anaesthesiologists. We discussed on issues of knowledge-sharing and training. Language will always be of concern except in the English speaking countries. The Americans have moved from 'service-orientated' to 'value- added service'. There is still a profound distinction between the developed countries and the developing countries. The Gala Night was really outstanding. It kicked off with the usual awards and numerous research grants followed by the launch of two anaesthesiology books in Mandarin. 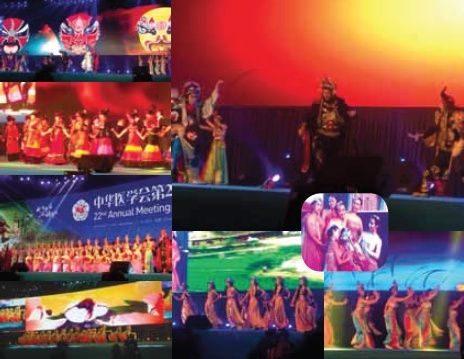 The evening entertainment was filled with dances, from traditional dances portraying the area around Sichuan to ballet. There was even a typical Shanghai opera with a Sichuan twist to it! It was a lovely colourful evening with extremely good acoustics and light effects. I was shocked to find out that all entertainers and dances were medical staff! It was highly professional and well executed! 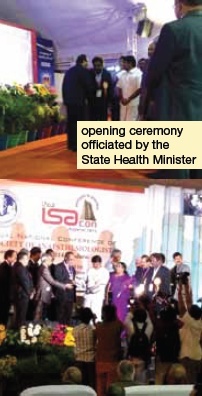 The next meeting took me to Manila for the 46th Annual Convention of the Philippine Society of Anaesthesiologists held from 20th to 22nd November 2014. The theme was "Survivor Anaesthesia: The Basics, The Profession, The Society, The Nation". The meeting was similar to ours. There were two plenaries everyday with three concurrent symposia and two Problem-Based Learning workshops / free papers etc. Each subspecialty conducted their own scientific programme. All the subspecialties also held their respective meetings / AGMs during the conference. Basically, there were a lot of simultaneous events going on. Timing was always a problem. There were more than 50 biomedical industry booths at the meeting. The meeting saw a total of 92 speakers including 10 international speakers. It was a privilege to have spoken to Dr Ronald Miller who presented in one of the plenaries on 'Transfusion'. Dr Ronald Miller also held a book signing session for the latest edition of his anaesthesia book. I spoke in the Symposium entitled 'Fundamentals'. It was a 25-minute lecture with a 20 minute question and answer session. There were a lot of questions. Most seemed to deviate more to my liver transplant work! But I was more than happy to take the questions. The theme of the Gala/Fellowship Night was from the show "Survivors". It was very lovely with good food and entertainment. The Executive Committee was introduced on stage. They had the usual award ceremony. The next item of the social event included an incredible dance performance. Again the dancers were all medical staff and anaesthesiologists. What talent! My last meeting of the year took me to Madurai, India on the 23rd December 2014. India as a country is steeped in rich tradition, history and culture, an interesting saga that cannot be narrated without references to the Gods and Spirituality, Yoga, Ayurveda, Pranic Healing and Meditation. I was invited as the President of the Malaysian Society of Anaesthesiologists and also as a speaker in the Transplantation Symposium at the 62nd Annual National Conference of the Indian Society of Anaesthesiologists. Madurai is known as the temple city. Its largest attraction is the Sri Meenakshi Sundareswara temple. The temple forms the heart and lifeline of the more than 2,500 year-old city. The conference was held at the Velammal Medical College Hospital and Research Institute from 25th to 29th December 2014. The theme of the conference was "Percept to Practice" which holds the meaning of guidelines to practice, aiming to narrow the gap between practice and guidelines. There were more than 3,500 delegates who attended the conference. There were 10 pre-congress workshops. The conference saw 12 simultaneous tracks and 8 concurrent workshops per day. There were 28 international speakers. There were about 250 posters in total which included e-posters and 500 free paper presentations. Among these, 13 free papers were selected for the best award free paper and 10 poster presentations for the best poster award exhibited in a special section in the conference. The conference was rich in scientific content, excellent pro-con debates, focus sessions or what we call PBL, how I do it video sessions and hands-on training. Surprisingly, the conference only accommodates members of the Society and post graduates i.e. anaesthesiology trainees and medical officers in anaesthesiology. I must compliment them on their breath taking slides and audio visual! My presentation went well and was well attended despite being a subspecialty symposium. There was good interaction with the audience with a lot of questions and enquiries. What I gathered was that their living related transplantation programme fares better than their cadaveric programme. The Indian Society of Anaesthesiologists was formed the same year India gained independence in 1947. Their Society has more than 20,000 members with an active membership of 8,500. India is a large country with a population of 1.3 billion people. It was interesting to note that each state has its own anaesthesiology council that is represented in the main council. Many of their anaesthesiologists who worked abroad do take this opportunity to return home for this annual conference, giving them an opportunity to touch base with their colleagues in India. The President, Dr SS Chakrarao, held a President's dinner on the Pre-Congress night. It is similar to our Faculty night. On the morning of the first day, there was a traditional flag hoisting ceremony. In the evening, the Opening Ceremony was held. The chief guest was the Tamilnadu State Minister of Health, Dr C Vijaya Baskar, who launched their CME book similar to our year book. The evening also saw the Past Presidents felicitated by the Minister of Health. I too was felicitated with a shawl and countered the gesture with a memento from our Society. It was indeed appreciated by the President! The conference was very well supported by the biomedical industry with more than 100 booths. The conference also gained a lot of publicity from the press, with featured articles in the print media running over a couple of days. Well done to the organising committee! No conference is complete without a good social programme! 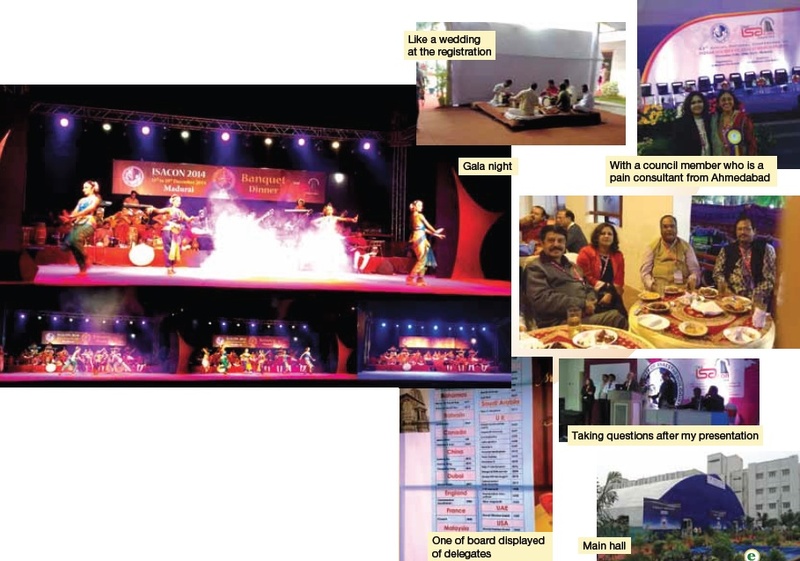 The second evening saw the 'Kollywood' night with modern dance performances and modelling show. Two excellent performers kept the crowd rocking. The evening concluded with two international deejays spinning an excellent choice of music. The third evening, the Gala Night, was traditional. There was an amazing performance of a large musical orchestra and dance performances by a group familiar to me, the 'Temple of Fine Arts'. It was indeed a lovely evening! Both functions were in open air with excellent weather, cool and not humid. How could I have not visited the temples in the ancient city of Madurai! The veneration of the Sri Meenakshi Sundareswara temple brought back tons of memories. It was where my wedding engagement was held when I was still a trainee medical officer at the University Hospital, Petaling Jaya. I have been back many times since, but every time seems to be special in its own way. I was very impressed with the conference especially the rich scientific content, their kind hospitality, the upholding of tradition and the radically modern presentations. Overall it was a wonderful experience attending the various Asian meetings as it serves as an eye opener generating more ideas when you return to develop your society. The inroads have been built, and as I leave my position as President, I am confident that the future Presidents will continue this effort to build more inroads with the Asian countries. Who wouldn't jump at a chance to join a medical mission to exotic Myanmar, the new tourist hot spot in Asia, as the country opens up to the world through political reforms? Of course we must go to Bagan, the magical land of the stupas, looking so ethereal in the sunset on the glossy pages of a travel magazine. Alas, where would our medical mission be held? Sagaing? Where again? A quick google mapping gave us the answer: a monastery town in the middle of nowhere and not exactly a stone's throw from Mandalay! After a grueling 14-hour journey which took us from Kuala Lumpur to Yangon to a lavish lunch followed by a novelty domestic flight to Mandalay (the novelty being that we practically stepped back 20 years in time during that journey through the airports) and a bumpy van ride to the monastery of Sagaing, we were greeted with another lavish feast of biryani by the venerable but affable superintendent of hospital, Dr Khin Maung Zaw. We had a good night's sleep in tepid air-conditioned comfort, after a quick warm shower in slightly brown river water. We quickly got down to work the next day. It was a day of mayhem where 50 screaming children and adults and their extended family descended onto our combined surgical-anaesthetic preoperative clinic. The chaos were compounded by the fact that none of us spoke Burmese, with the exception of Dr Aung, our beloved unofficial team leader, quiet, calm and stately, and his wonderful wife, Dr Nini, the most diplomatic, smart, trilingual (yes, she speaks fluent Japanese), good-natured lady with an unmistakable vocal presence! Next, we set up camp at the cavernous operation theatre, a room big enough to fit three operating tables. It was beautifully finished in marble, floor to ceiling, and furnished with a hodgepodge of inherited and donated medical equipment and anaesthetic machines, some working wonderfully, and others not so. Naturally, the best machines, complete with ETCO2 and a working ventilator complete with gas analyzers magically migrated to Prof Dr Lucy's station while the rest of us mortal anaesthesiologists managed to hold on to quaint little pieces of antiques patients, cosmic things happened that required constant elbow grease in bag-ging if you did not want your patient to stop breathing. On a mission like this, the best advice one can give is to bring everything, including the kitchen sink. At times, we would kick ourselves for not bringing enough of the most basic things like disposable gloves. We quickly settled down to a routine of anaesthetising and beautifully executed surgery where the very skillful Drs Liew, Siti Mazlipah and Aung and their Santarinas, Drs Ch'ng, Chong and Rosliza created magical tissue bridges to mend the broken smiles of the patients. Our multi-talented and multi-tasking nurse practitioner Ms Masniza took care of the patients as they woke from their drugged slumber as fast as we could hand over to her. These patients, we learnt, came from far and wide. It is not that there is no expertise in Myanmar to carry out these operations, but some of these patients simply could not afford even a trip to the hospital, let alone the surgical bill and cost of accommodation. In this hospital, as the planetary bodies aligned (the bodies being Mercy Malaysia, Sitagu Ayurdana Hospital, the volunteer anaesthesiologists from the Malaysian Society of Anaesthesiologists and nurses), the younger these patients were, the more meaningful their transformation became. To provide free reconstructive cleft lip and palate surgery to underprivileged children with cleft lip and/or palate deformities in Mandalay, Myanmar in order to restore and improve function. To provide health education with regard to nutrition intake, oral hygiene, post-operative education, and speech functions for caregivers/parents with cleft lip and/or palate child(ren). being the touristy beings we are, we could not help but sneak off to mandalay to sample what myanmar has to offer. what an adventure it was to visit the jade market and be mobbed by petty jade traders peddling what may or may not be that luxurious green stone. On our very last day just before we jetted off to Yangon, we were spirited away to the splendors of Bagan, courtesy of Drs Aung and Nini, deepening our affection for this exotic land of tanakas (yellow cosmetic powder ground from tree barks), longyis (sarongs protecting one's modesty with just a knot), and the most gracious smile. A few months ago, while I was resting in between cases at my OT doctor's lounge, I happened to catch a very interesting movie titled "The Big Year" starring Jack Black. For those not so familiar with this name, he is the voice of Po from the hit DreamWorks cartoon Kung Fu Panda. The movie made me wonder whether the hobby of bird watching which was the main theme of the movie is actually a popular past time locally. Lo and behold, I chanced upon a Facebook entry of one of the senior most anaesthesiologists in the country whom I approached and she graciously agreed for this interview. She is none other than Dr Ng Siew Hian, my former boss from Hospital Kuala Lumpur and the former National Head of Service for Anaesthesiology before she retired in 2011. Dr Ng describes how she first got interested in the hobby. "In 2006, two years after I moved to Hospital Kuala Lumpur, I had the good fortune of being introduced to Uncle Foo, a senior bird watcher highly regarded among the bird watching community in Malaysia. When I met him, he was in his late seventies but still active in the sport. He took me under his wings and for the next two years, I would follow him on bird watching trips almost every weekend; it was very intense coaching. Most trips were day trips in Selangor, Perak and Pahang; but occasionally, we ventured out on longer trips to Johor and Taman Negara," she recalls with enthusiasm. She adds that she knew about the hobby of bird watching in her younger days but never took it up as she thought it was too 'sedentary'. But of course she soon learned how mistaken she was. "Bird watching can mean hours of jungle tracking or walking on trails under the hot sun although most times, it is leisurely walks through parks and forest edge. Bird watching is not a popular hobby in this country but in Europe and US, it is considered a sport and a very popular one too. I chanced upon bird watching rather late in my life but as soon as I started, I was totally immersed in it. Today, I still enjoy bird watching as much as I did on my first day," she adds. When asked about classes that people with interest can sign up for, she says this, "The Malaysian Nature Society Bird Group especially the Selangor group conducts regular classes for beginners and intermediate birders. It is advisable that beginners attend such classes; to know the ethics of bird watching as well as skills in handling the binoculars and bird identification. I attended the classes and found them to be very useful. Over the years, I also attended special workshops for raptors (birds of prey) and waders (water birds). But personally, I learned more by going on bird watching trips with Society members especially the advanced birders. These people could identify a bird by just listening to the call! They are also quick to spot a bird and such trips are always educational and productive. Commercially organised bird watching trips in other countries are exciting but expensive; this is because one has to engage local bird guides and transportation cost is high. I had the good fortune of going on such trips in Sichuan, China; West Papua, and Northern Thailand and they were very fruitful excursions. Nowadays when I go overseas for holidays, I always include bird watching in my itinerary; for example, in my recent trip to New Zealand, we hired a car and drove through the country, stopping at garden, lakes and conservation parks; and by just doing that, we managed to sight and capture images of more than 50 types of NZ birds including the elusive kiwi! That certainly added value to the entire trip. For my visit to Kerala, India, I took three days off from the guided tour and visited local bird sanctuaries on my own. That way, I combined bird watching with sight-seeing. I think this is a smart way to travel!" she adds with a chuckle. Having spent about eight years pursuing this hobby seriously now, I asked her what she has noticed most with regards to the hobby now and then when she first started. 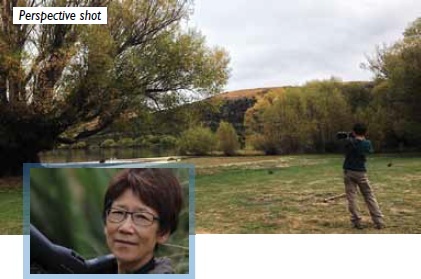 She narrates, "The most obvious change over the years is the increase in the interest in bird photography among birders. While in the early days, bird watchers were contended with simply observing and admiring the birds through the lens, and recording them on papers, nowadays, a lot of birders try to take digital images of the birds they see. This is in part due to the development in digital photography and the availability of lighter and more powerful lens. I think bird photography enhances the joy of bird watching; and this is a healthy development. There are people who started as photographers but eventually switched to bird watching/ photography when they were exposed to the avian world. To take bird photos, one has to invest on a DSLR camera and a tele-lens (minimum 400mm). But for beginners, it is best to just stick to observing and identifying the birds and collect as many 'lifers' (birds seen for the first time) as possible! 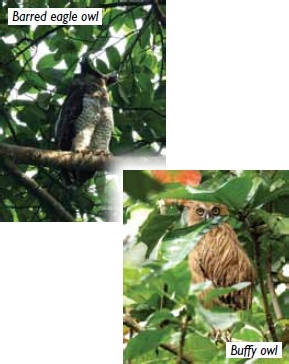 There are more than 600 species of birds in the Malayan Peninsula so it will take quite a while to complete the list! Currently there are about 20 birders who have exceeded the 500 mark and probably only one with more than 600 birds." "Another aspect of the hobby which is also different is the expense associated with the hobby. The cost of a pair of good binoculars particularly a high end quality lens for serious birders (for example Leica) has increased significantly; for example, the same binoculars that cost RM6,000 a few years ago now costs RM9,000! Fortunately, there are cheaper options for beginners that only cost a few hundred ringgits. However, I strongly recommend that one should invest on a good pair of binoculars that can last a life time. Bird watching is a life-long hobby; one can continue to bird watch even in advanced age as long as the eyesight does not fail!" she says with a smile. When asked whether there are any mentor or person that she would like to emulate one day, she mentions this, "Uncle Foo is the one that really got me interested in bird watching. Although in his late seventies when I first knew him, he has a razor sharp memory and could identify almost every bird that he saw! He was like a walking bird encyclopaedia and is very inspiring. I am also lucky to have found two buddies, Rosli and BH, who share the same enthusiasm. We would go out regularly on bird watching trips and I learned a great deal from them. Bird watching is not just an outdoor activity; it is quite cerebral requiring one to remember hundreds of bird names, their habitats and behaviors. Of course one cannot equate bird watching with ornithology (the study and science of birds) but serious birders read extensively and are knowledgeable". I asked Dr Ng on whether she has any particular country or area on her to do list for her next trip. "When I plan for a trip overseas, I try to include bird watching as part of the 'must do' activity. For example, when I attended the World Congress in Cape Town, my friends and I organised a side trip to the Kruger Park. While most people would focus on the animals especially the Big Fives, we had such a great time sighting the colourful birds of the African savannah. We saw a whopping 120 new species of birds during that trip. By incorporating bird watching into sight-seeing trips, I get to see many foreign birds. But I am not chasing numbers; it's never my desire to complete the bird list for Malaysia or any parts of the world as depicted in the movie 'The Big Year'. I am thrilled to see 'lifers', but that is no longer the main focus of my bird watching. I simply enjoy being outdoor and breathing in the fresh air and looking at all life forms. Seeing a lifer is a bonus." In my conversation with her, she did share with me an experience that I think would really surprise all of us who only knew her as the "Boss" but not the outdoor adventure person. She narrated a trip she did to West Papua, Indonesia soon after her retirement in 2011. "I joined a group of international birders comprising 1 British, 1 Aussie, 2 Thais and 2 Malaysians led by an experienced bird guide who is a Belgium national. The main target for the trip was of course the famed 'Birds of Paradise' (BOP) which are only found in this part of the world. To look for BOP, we had to hike for 12 hrs deep into the primary jungle and camp there for three days. We slept on wooden planks on stilts, used dug out hole as latrine and bathed in streams. It was very rough terrain and physically trying but the sights and sounds of the jungle were magical and the trip had a surreal feeling. In the end, we were rewarded with all the five species of BOP we targeted (there are about 20 species scattered all over Papua New Guinea) including the very rare Wilson's. I remember on one occasion, the six of us in the team had to sit very still without a word uttered in a cramped bird hide made of palm leaves for 5 hours for the BOP to arrive. But when the bird did appear and perform the spectacular courting dance, even for a brief moment, it was worth all the 'suffering'." I must confess Dr Ng, I am impressed. WOW!!!!! She adds further, "I also did a trip to the mountains of Sichuan, China and found that it was equally tough. Accommodations were without heating and one literally shivered through the night even in thick quilt. Our journey took us through the regions stricken by the massive earthquake in 2008. Three years after the earthquake, we still saw many houses in ruins and miles and miles of fallen rocks on our way to the birding interior. In our haste to reach the peak of a snow-capped mountain to look for the birds, we forgot about acclimatisation and a few of us developed severe headache upon reaching the top. Fortunately, we retreated quickly and recovered without serious consequences." So I asked "How do you prepare for a session?" She answers, "My basic equipment for bird watching is a pair of binoculars, a viewing scope with tripod, a DSLR camera and a handheld tele-lens. I dress in comfortable clothing which is preferably earth coloured and bring along a hat, bottled water, hot coffee and some snacks. My four-wheel drive truck serves me well and takes me through mud roads, paddy field bunds and jungle tracks. The best time for bird watching is from 7 to 10 in the morning and 4 to 6 in the evening. The beauty of bird watching is that it is very flexible. It is also non-competitive. While extreme birders would immerse in the activity to the extent of neglecting their work and families most birders take the middle path and go bird watching during leisure times. That's how I managed before my retirement - bird watching on weekends and during holidays. It was a good way to de-stress and re-charge. After retirement, I prefer to do bird watching on week days; this is to avoid traffic jam and week-end holiday makers." When asked about her biggest achievement to date, she answered in an embarrassed tone, "What I have done in bird watching can hardly be considered as an achievement! More of indulgence and self-satisfaction! To date, my record indicates that I have seen about 400 species of birds in Malaysia and another 300 birds in other parts of the world. This is a minute fraction when compared to the total number of birds found in the world which is estimated to be about 10,000, so I guess it's nothing to shout about. I am starting to take bird photos; hopefully I can compile a personal record to share with my friends. This will be my project for the next five years." On a final note, I asked her whether she is a bit worried on the sustainability of her hobby with the somewhat reckless destruction of the environment that is occurring nowadays. She agrees and adds, "I never thought of giving up this hobby but feel dismayed by the rapid destruction of the habitats; in the names of development, many bird habitats have been encroached and some destroyed. Many bird watchers lament that nowadays they see less birds than they used to at their regular bird watching sites e.g. Genting Highlands, Ulu Selangor, Fraser's Hill, Ayer Itam Dalam and Teluk Ayer Tawar in Penang; I can't agree more with them. The Malaysian Nature Society is doing its best to protect the environment and they have been quite successful in some of their endeavours e.g the gazettment of Belum Forest as national park; but they face an uphill task. I hope development will go hand-in-hand with conservation and we must allow space for other creatures; if not ultimately, human kind will suffer. Another worry that I have is also safety especially for ladies. Recently in Penang, a few bird watchers especially lone female watchers have fallen prey to robbery targeting bird watchers with expensive binoculars and cameras. These incidences have put a damper on bird watchers and are one of the reasons I do not go bird watching alone nowadays." Finally, Dr Ng advices that if there are interested members out there who would like to give this hobby a go, "Do join the Malaysian Nature Society Bird group and their birding trips; bird watching is much more fun if done as a group. You will get to see more birds and that helps to sustain the interest. Invest on a good reference book and a reasonable pair of binocular (that you can afford). Read local bird watching blogs and forums to keep abreast with recent development and unusual bird sightings." The last quarter of 2014 turned out to be one of the most interesting and at the same time confusing period for me personally in my few years in private practice. The dreaded word going all around the corridors of the hospital and OT was Goods and Services Tax or GST in short. Every tea break and lunches among doctors was all about GST and how it's going to affect all of us in private practice. Of course there were various interpretations and misinterpretations given by a fair number of people including the very authorities that were supposed to be guiding us in the exercise. During one of the briefings done by a Customs official, she mentioned of GST as "Grow and Share Together" although most of us had another version for the acronym which I shall not share here. I will try to summarise the issues here so that our colleagues in the public side have an understanding of the issues we are facing with regards to the upcoming GST exercise and how it will relate to the consultants especially in private practice. For doctors in government service, the issue may not have a direct impact as the Government has decided that supplies such as healthcare services provided by hospital and clinics are generally treated as out of scope supplies for which no GST will be imposed. From what we understand in the above scenario, the patients who see the private specialists will not pay GST but doctors will now have to charge their hospitals GST for any fees collected which will then be passed on to the Royal Malaysian Customs as we are the "third party suppliers" to the hospital and the hospital is receiving a service from us. Part of the reason why the confusion has occurred for this is the fact that in most of our contracts with our respective hospitals we are defined as independent contractors where we enter an agreement with the hospital to provide healthcare service using the hospital facilities. What the authorities are not taking into account is the fact that we do not behave as if we are separate from the hospital but we act as resident consultants of a hospital and do not practice elsewhere except at the hospital we have our APC assigned to. To me the use of the term "third party suppliers" seem to imply a non-existing tie between the doctors and the hospital which is not true. Although we operate independently (i.e. the hospitals does not interfere in the independence of our clinical practice) we are still bound by the rules and regulations of the hospital as defined by the PHFSA and the Medical Act. That is why we have a Medical and Dental Advisory Committee that has regular meetings with the management of the hospital and work together to resolve issues that affect mainly patient care. Currently the Malaysian Medical Association and the Association of Private Hospitals Malaysia are still in talks with the higher authorities to look into this situation. What about another issue which we will also face regardless of whether we are from public or private healthcare which is with regards to the cost of medicines and medical devices? The Health Ministry has clarified that the 2,900 brands of essential medicine will be exempted from the Goods and Services Tax and will be categorised as zero-rated GST. I had a brief look at the National Essential Medicine List (NEML) and stand to be corrected but among the drugs listed under the medications are Isoflurane and Thiopentone. I am not sure how many hospitals in Malaysia are still using them regularly at this day and age. Luckily Propofol is exempted. Among the local anaesthetic agents, I did see bupivacaine and lignocaine listed but not ropivacaine and levobupivacaine. Newer generations of analgesic drugs such as the COX-2 inhibitors and newer generation of antiemetics are also missing if I am not mistaken. I hope the initial list that I saw is a preliminary one that will be allowed to be modified and added on as we go along as a number of common agents that we use such as Sevoflurane, Desflurane and analgesics such as Parecoxib (Dynastat) which are kind of our staple diet of medications used daily in our clinical practice will see an increase in their prices if not GST exempted. Moving forward in 2015, we are due to see the implementation of the GST in a few months' time. As we are preparing ourselves for it, I sincerely hope that the public will not have to bear the brunt of any rise in healthcare costs. Nobody wants to see a situation where our healthcare costs begin to spiral out of control as a result of GST or any other factors as we aim to provide the best healthcare possible in a universally accessible manner, be it publically or privately. I can make myself get up at 4am to make sure your mother has the medicine she needs to live... and I will work straight through until 4am to keep her alive and start the day all over again! I work weekends and holidays and all through the night because people don't just get sick Monday through Saturday and during normal working hours. It is already that time of the year to reminisce and look back at our current achievements whilst planning for the current year. It was a proud moment indeed when the working committees produced Guidelines on Infection Control in Anaesthesia which was launched recently at 3rd National Daycare Surgery Conference. Kudos to the team! Please note that a new guideline on "Anaesthetic Management of the Obese Patient " is in the pipeline. The College in collaboration with of College of Surgeons successfully conducted the 3rd National Daycare Surgery Conference at T J Danaraj Auditorium, Medical Academies of Malaysia, Kuala Lumpur on 4th and 5th September 2014. The theme was "Done in a Day". It was a huge success. 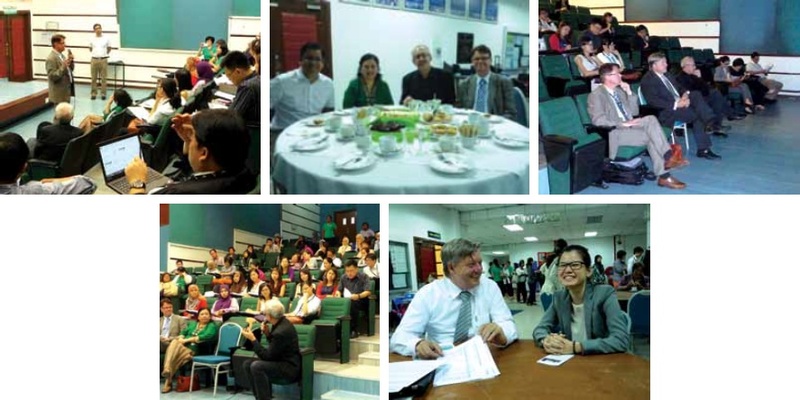 The Medical Academies of Malaysia was also the venue for the 3rd Neuro Anaesthesia Symposium, themed "Fortifying the Synapses" on 19th - 20th September 2014. This symposium boasted an impressive participation by 198 participants. The rich scientific program was well received by the participants. The programme was tailored to tackle common daily Neuro Anaesthesia principles which contributed to good patient outcome. There were a total of eleven speakers of whom two were neurosurgeons and one a neuro-interventionist. Workshops were tailored to concentrate on Neuro Anaesthesia specific material. The scalp nerve block was the first of its kind to be performed within Malaysia and preliminary searches show it as the first to be performed internationally. Cadaveric sheep heads were utilised for hands-on practice sessions. Similarly the BIS Titration Workshop utilised the software for BIS/TIVA interface practice sessions in real time. The advance airway workshop concentrated on cervical instability and trauma with the Sim Man mannequin providing the backdrop for simulation. The symposium was a success, having completed its primary objectives of fortifying concepts of neuro anaesthesia and additionally garnering interest and importance of neuro anaesthesia within the young minds of the fraternity. 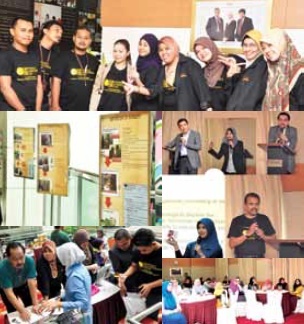 This event was held at Lake Gardens, Kuala Lumpur on 18th October 2014 . It was well received and launched by our beloved Deputy Health Minister. 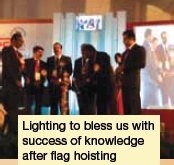 It was themed Anaesthesiologists – Catalyst of Quality Care, Icon of Innovation. The event was phenomenal with 400 people participating in the fun run and there were colouring activities for the kids. Abbvie conducted a colouring activity as well as "Simulation at flying an aeroplane" for the patients as part of their corporate social responsibility in patient care. There were other activities like blood donation, wound care management, medical check, physiotherapy, dietary advice and a very popular Zumba dance to set the pace. The College is working with the Academy of Medicine to have a separate CPD points system in place, to enable us to log in our points for the purpose of possible renewal of the annual practicing certificate in the future. 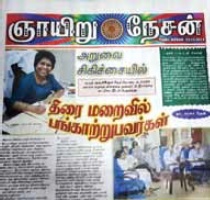 Dr R Raveenthiran is in charge of this. Once the Regulations of the Medical Act (amended) 2012 is implemented, the subspecialty training within the country will be under the purview of a Joint Committee comprising of representatives from the Ministry of Health, Universities and the Academy of Medicine. This meeting has been tentatively scheduled in August 2015 and it is to be held at the Medical Academies of Malaysia. The College AGM will also be held then and therefore it is imperative to have your presence and participation and to make up the quorum. Preparations are underway for this mega annual event that all of us look forward to. This year it will held be in the Hotel Equatorial, Penang from the 12th to the 14th of June. Before I end, I take this opportunity to thank everyone who has contributed to making our College activities a success, the Council for all their valuable contributions and finally, have a great 2015! !